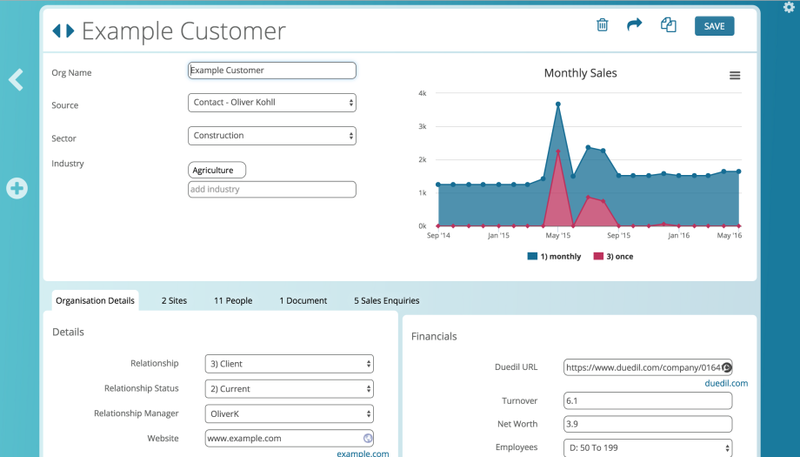 Here’s a neat feature we think people may like – the ability to embed charts into data entry forms. You could for example show sales trends for a product, most popular products for a customer, burndown charts for a project, stock level history for an item etc. – anything someone may want to see when editing a record, without having to go into a separate charts or dashboard section. Setting this up is particularly easy. Just add a referenced field into the table, then add a chart into the view that the field references. Instead of displaying the data from the referenced view, the system will then show the chart(s) you’ve added.